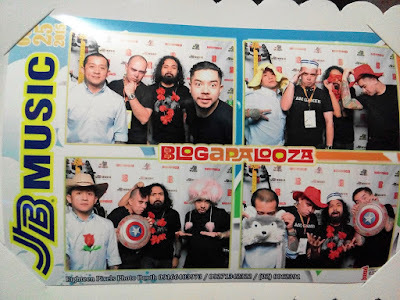 Blogapalooza 2015 Season is the 5th time that I had been to Blogapalooza, the first being the one in Fully Booked BGC in 2011. I have seen how the event evolved and truly became the biggest and most awaited business to blogger event annually. I would like to share my experience and feedback regarding the event since perhaps like other bloggers, I was not able to pass my feedback form. We arrived at the event around 12 noon and the first that we immediately notice was the difference in ambiance. It seems something was different from this one and as we started to roam award indeed this one is a bit different. Let me elaborate as I go along. No visible food sponsor. 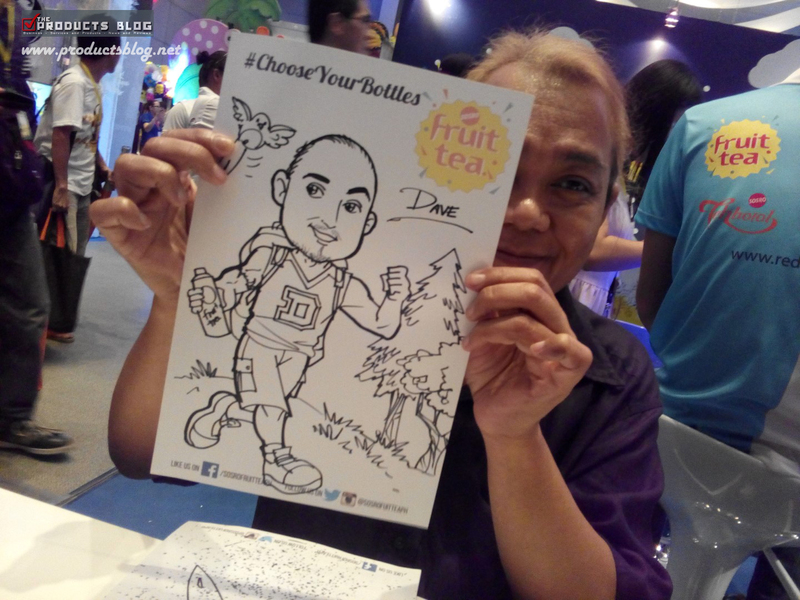 Unlike before we were really able to eat and not go hungry in the event but this time we missed our lunch and dinner. We were told that Food Panda was giving away free meal stubs but I was only given a free P100 voucher. We went outside to check out Bagwings but the way I see it with the cart and all the prices displayed it was a paid meal. Correct me if I am wrong but that is how I saw it. It felt more of an expo/convention rather than Blogapalooza. I used to go to conventions and expos a lot and exhibitors would usually come up with their own gimmick to drive people to their booth like games, pic-a-prize and others. 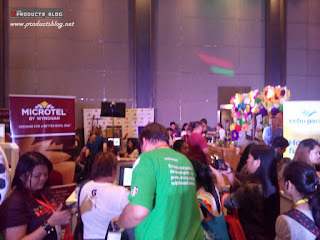 This was very evident with this years Blogapalooza, as bloggers were given a collection of fans, ballpens and eco bags. If you want to get a hold of their product you have to work hard for it. I missed the old ID. When we ere told to ask booths to put the signature on the ID, I immediately noticed that there were no exhibitor logos on the ID like what was done before so it kinda felt awkward to ask the sponsors to sign the ID. None blogger friendly sponsors. This is not a negative thing but some sponsors are naturally not very blogger friendly when it comes to the number of bloggers present. 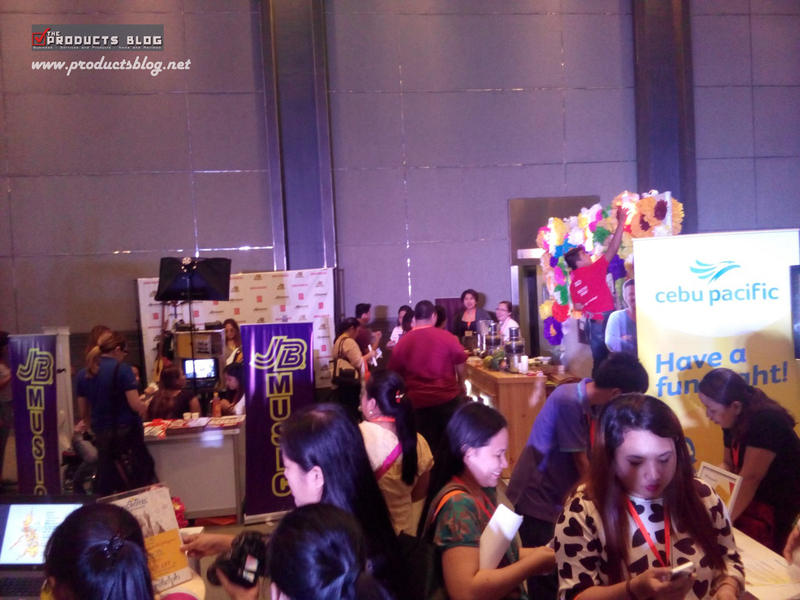 For example could Sogo, Ace Water Spa and Hotel Suites, and Microtel provide hotel accomodations for the bloggers to review their hotel or could Cebu Pacific provide a free flight for bloggers to review? Naturally, it would be a huge cost for them doing this, so they would result in giveaways, raffles and contests to select a few that would get that. Small stage with few seating. I did notice that the stage was also very small plus the seating capacity can only accommodate around 20 persons or even less. Well, perhaps they are expecting people to stand up while listening. Wi-fi Connectivity. Wi-fi connectivity had been the bloodline of Blogapalooza since the day it started but this time it seems to be one of the things truly missed. 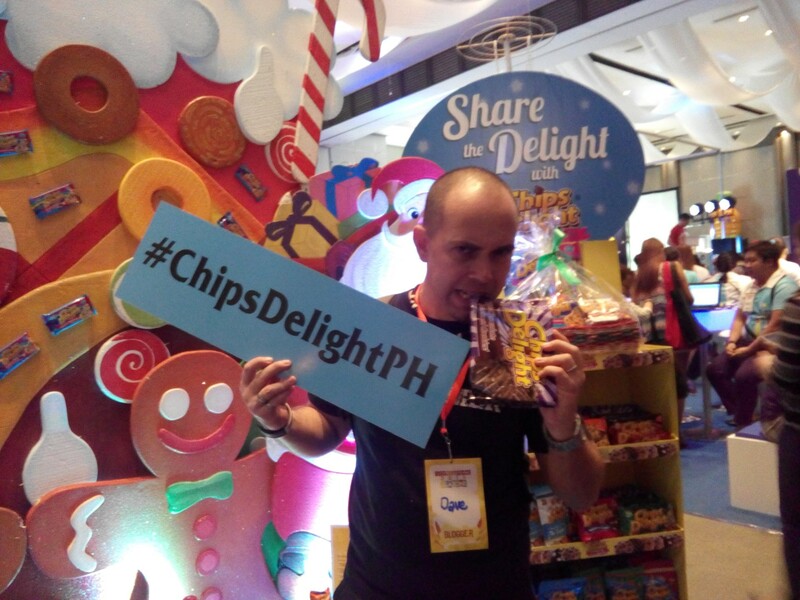 Some bloggers would just go to the event, get loots and freebies and will not write afterwards. At some point I am guilty of that because of the sheer number of sponsors, I would not be able to write about them. 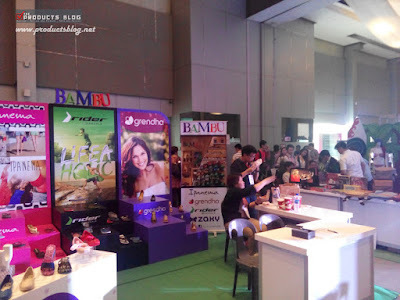 Perhaps some sponsors noticed the problem above and in some way failed to see the value of Blogapalooza not because of the organizers but because of some bloggers who failed to nurture the event and the sponsors by writing about them. There might be some policy in the venue that prevented some sponsors from coming in or there might be a conflict of schedule. 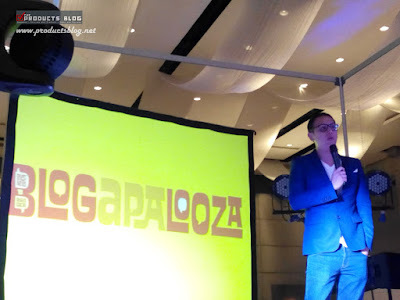 Brands and sponsors invest in Blogapalooza and we should all understand that they have a working budget and cannot just spend all of their marketing funds on the event. I would admit that at first I was disappointed with the event because it was totally different but then as a blogger, we should pause and see the situation from a positive perspective - a bird's eye view. 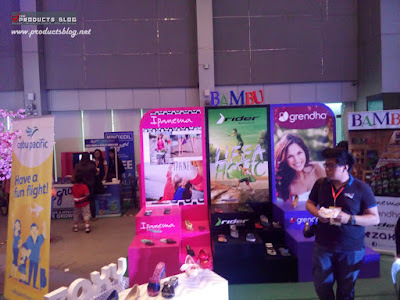 Why are you there and how can you maximize the event for your blog and your career as a blogger? If I really like a product for review, I would really removed my shyness and directly tell the person in charge that I want to review the item. Most of the time they would give you the item for review. Just tell them, show them your interested and then fulfill your pledge. Listen to the speakers and learn. Blogapalooza 2015 had a lot of good speakers and I hope that we all elarn from them. 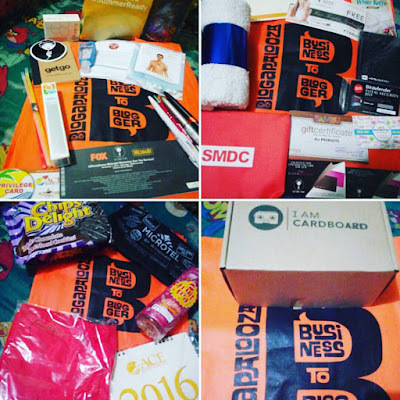 Network with fellow bloggers, meet new friends, exchange business cards. Have fun. Remember to always have fun and enjoy the event. I Aam Cardboard PH - Very cool innovation and watch out for my review about their VR soon. Feel Good Lactium - I really enjoyed taking the stress test because I find out my stress level and well their brand is really good and effective. Sosro Fruit Tea - That was a delicious drink plus the free caricature was awesome. 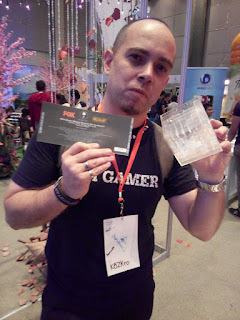 Breakout PH - I am not really a fun but I did enjoyed the puzzle and I won a free pass for 6 on the Victoria Court event. Manong's Lechon Cebu - very delicous indeed and I have been to the line for 3 times. Well, you can't blame me guys this one is really good. Project Headshot PH - Although there was not much of a freebie here, thinking about the fact that I ould get a chance to be part of the Responsible Media campaign was good enough. UNICEF - well they have no freebies but having the chance to blog and help them help other people was cool plus the lady there even have me her UNICEF baller. Thank you! JB Music - I got to have a photo with Urban Dub. Breville - thanks for the cocktails and alcoholic drinks that made me tipsy. Cebu Pacific - the simple basic necessities was great plus thanks for the GetGo tumbler which I am now using at the office. VOffice - knowing that there is a place where startups can have their office at a very affordable price was a reward enough for me. Kudos to you guys. Flawless - I got to play gold and bring home a whitening soap for my daughter. Thank God that the expiration date is now longer. Fragrance Factory - thanks for the free perfume for review. 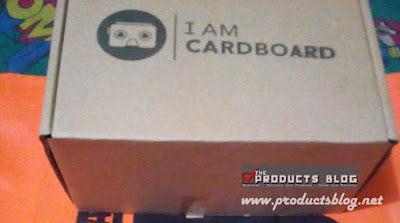 Will review it soon. Victoria Court - Thanks for the 2pcs 25% discount. 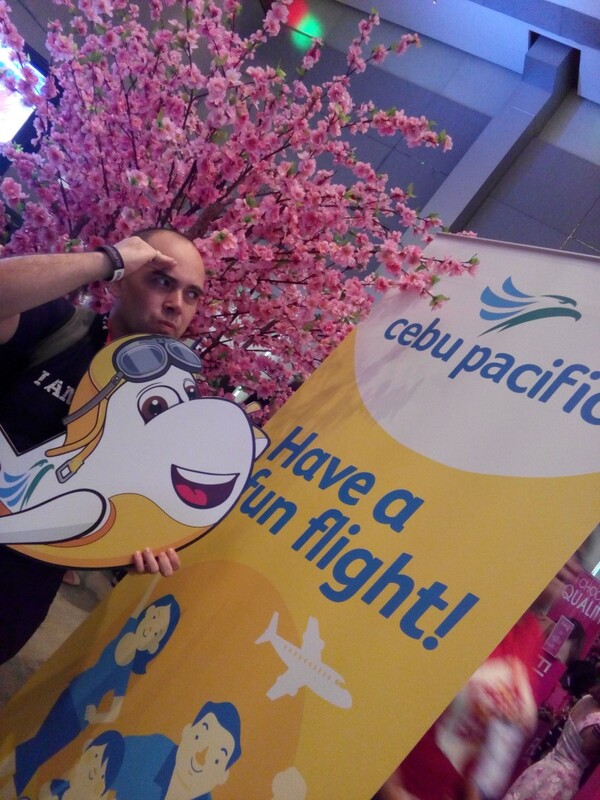 Sogo Hotel - Thanks for the cool t-shirt which I won though a 24 hour stay would be a lot better. Chips Delight - Thanks for the awesome dessert and looking forward to review it. 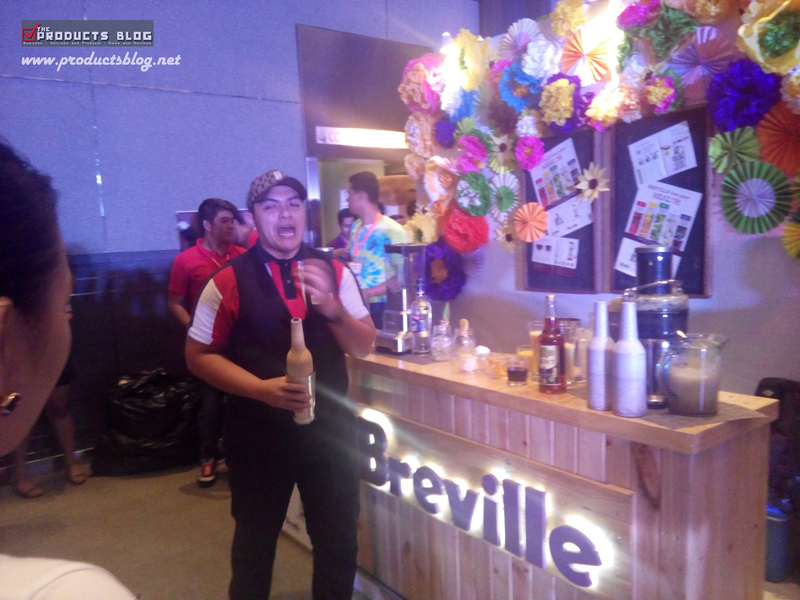 Food Panda - I still admire your Panda and booth but I was a bit disappointed that I was not told anything about the food and the P100 discount voucher was a bit too low compared to other events considering the minimum spend is P500. What I missed the most this year? Well, I definitely missed Chooks-to-Go and their awesome game. 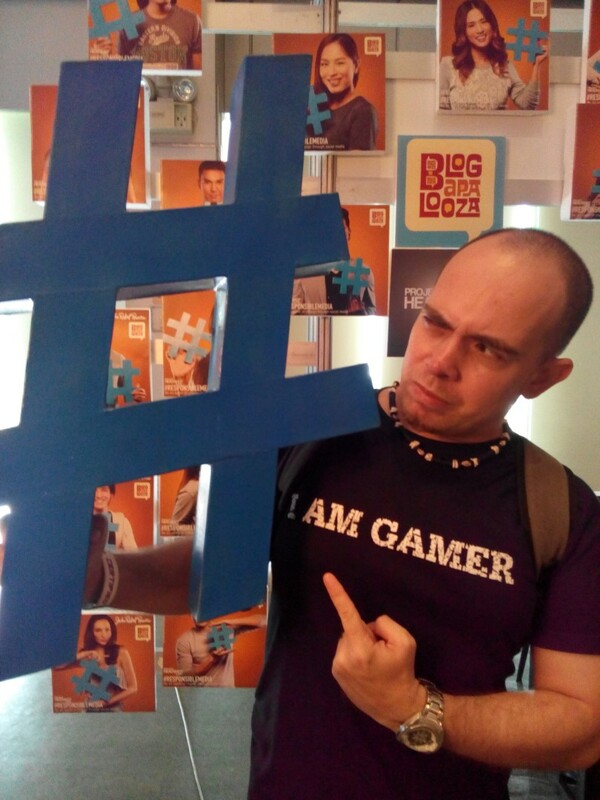 That was definitely one of the few games which I really enjoyed during the previous 2 Blogapalooza. 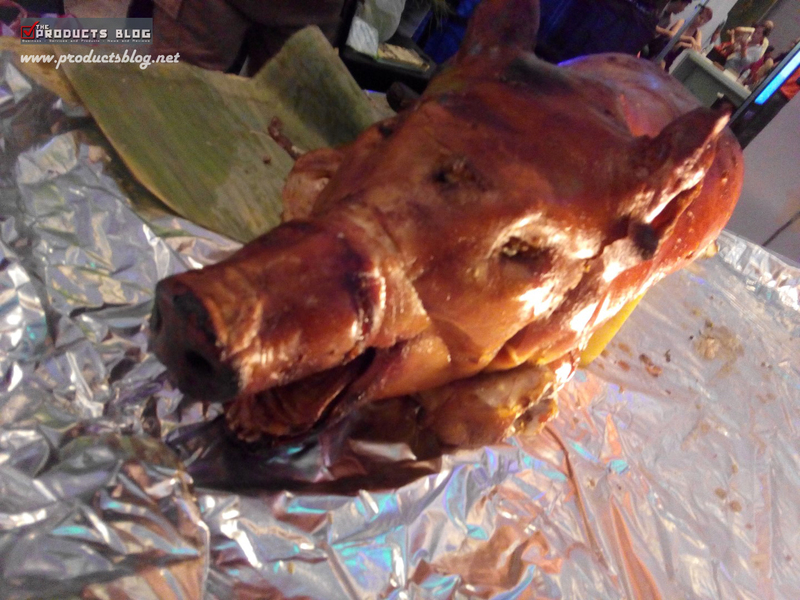 Congratulations to the organizers for giving an event that recognizes bloggers, it was a success. Fellow bloggers, it is nice to meet you all and mingle with you. Always remember to go beyond and "knock on the doors" when you want to experience or review something. 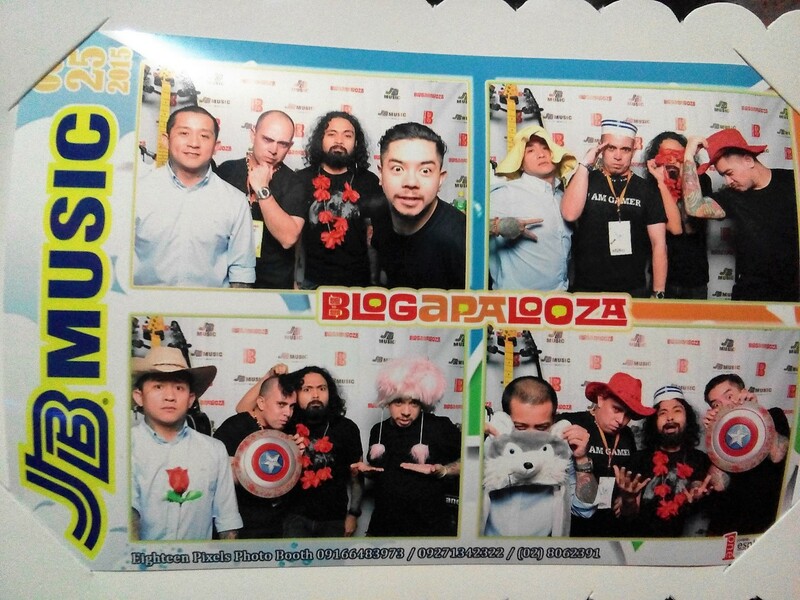 See you again next year, Blogapalooza 2016!